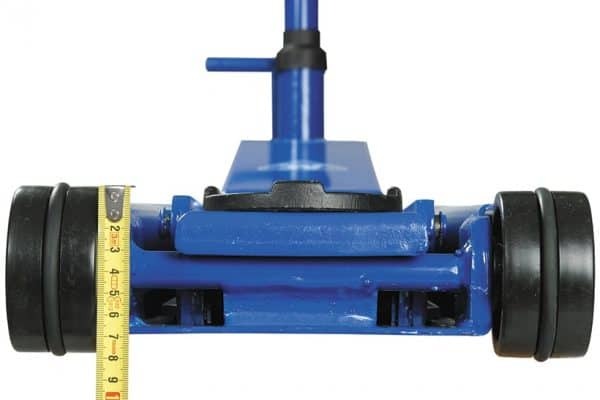 Lifting up to 2t and with an extremely low minimum height of 80mm this high lifting hydraulic jack is ideal for SUVs and Vans with low clearance. 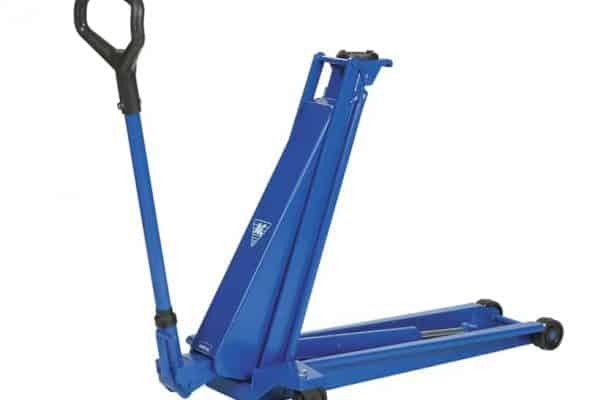 Made with a wide and robust frame of high strength steel, this unit is safe, noiseless and ergonomically designed for ease of use. 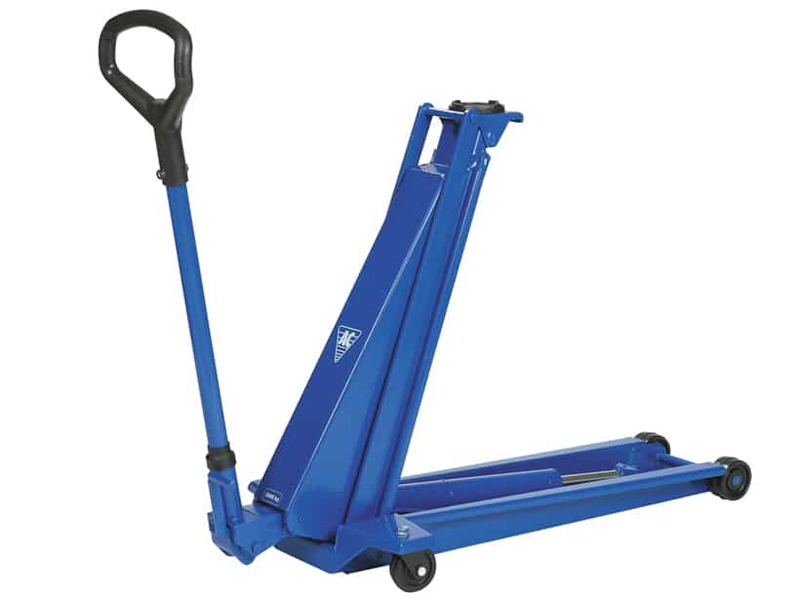 Lifting 2t from a low minimum height of 80mm, through to a maximum height of 795mm, this high lifting long reach hydraulic jack is an excellent unit for ground hugging SUVs and Vans. 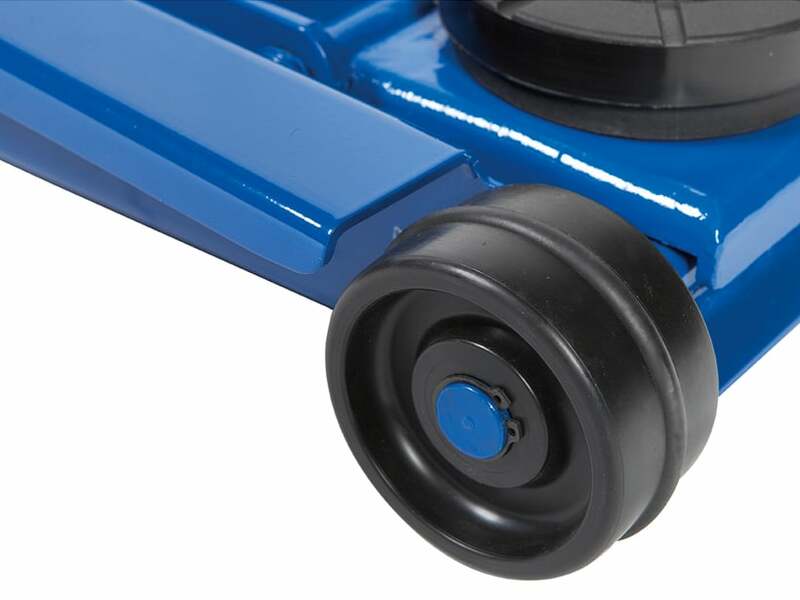 With a wide and robust frame made from high strength steel, the DK20HLQ is fitted with a quick lift pedal for easy reach of lifting point and provides precise and safe control whilst lowering. 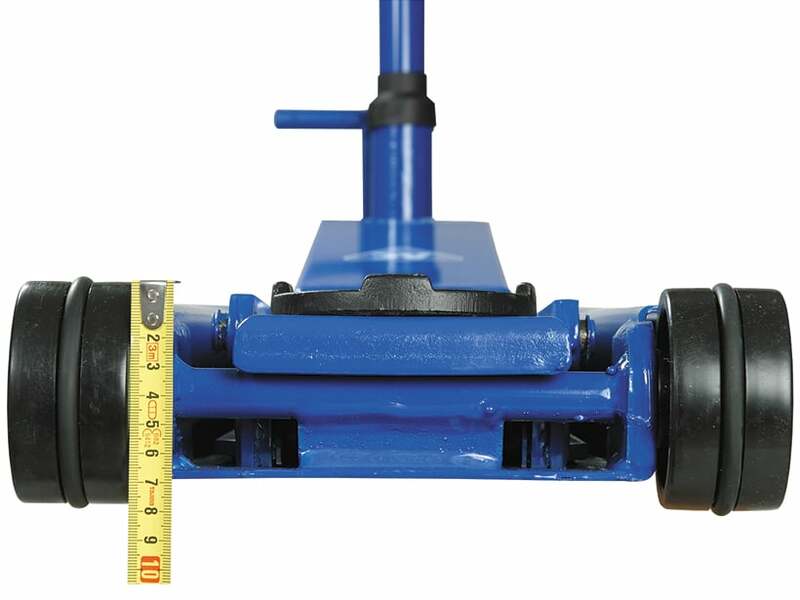 Loaded with safety features including built-in safety overload and manual dead man’s release, this unit provides optimum safety when lowering. 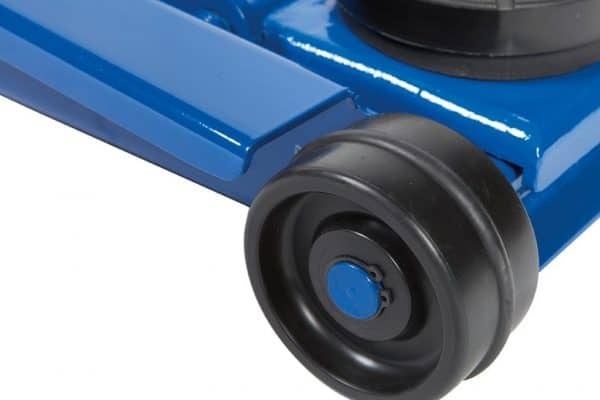 The noiseless wheels incorporate polyurethane central O-rings, offering maximum surface protection for the vehicle, while the ergonomically designed handles ensures a positive and safe experience for operators.